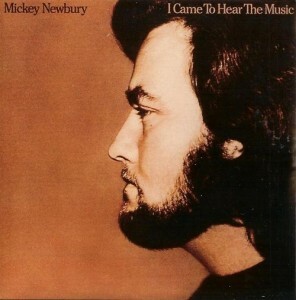 Mickey Newbury was a critically-acclaimed American singer-songwriter. I Came To Hear The Music was Mickey Newbury's fifth studio album, his third on Elektra Records, and his first since his critically-acclaimed trilogy consisting of Looks Like Rain, Frisco Mabel Joy and Heaven Help The Child. Though recorded at a different studio (Youngun Sound rather than Cinderalla Studios), it followed in the same formula as its predecessors. Though it perhaps didn't include as many memorable songs, it wasn't much of a step down in quality, and made for another brilliant Mickey Newbury album (just not quite as essential as the trilogy). Notably one song, "Dizzy Lizzy", incorporated rock elements into the now familiar Newbury sound very successfully.